We had an extremely difficult negotiation with our first offer, with multiple inspections and repairs requested by the buyer. Mary helped us through every step, even when we requested to push back to the buyers. She had a contact for every issue that arose and we never felt as if a problem would go unresolved. Mary is very knowledgeable and experienced. Mary Murray was outstanding…extremely knowledgeable about property, she went above and beyond explaining every step through out the process. Her positive attitude and can-do spirit was like no other.. and I have purchased multiple homes..never experienced this professionalism…I WOULD HIGHLY REFER HER TO FRIENDS AND FAMILY…Hats off to a job well done! 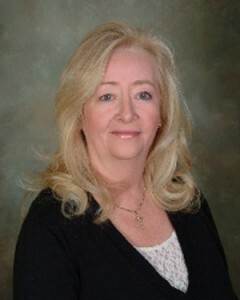 Mary Murray is an asset to Bowes Realty. She knows every aspect of the buying/selling process to a tee and she held my hand every step of the way. She returned/answered every call/email I made to her immediately. Most importantly, Mary not only acted as my realtor, but also as my “therapist” as there were some “kinks” along the way with the Buyer and she remained calm, cool and collected at all times! I would not have gotten through the process without her! Mary Murray made the entire process of marketing and selling my home flow so effortlessly. She was amazing from beginning to end! My Sales associate took care of every little detail that I was not aware of. She was always on time whenever we wanted to meet. She was available during weekends and holidays to take care of her duties. She was ready for any advice I needed during the purchase period. Her professional sales skills were a lot of help. Mary was incredibly helpful, patient and always enjoyable to see. I’ve dealt and dropped several realtors over the last 2 years of searching for a good home because of either their attitude, apathy or dismissiveness. Mary stuck with me, showed me dozens of houses until I found the one that was right for me. Mary’s the best I’ve ever dealt with. Mary is a very experienced real estate professional, but at the end the day we felt our property was a second priority. There were several miscommunications, perhaps due to the introduction of a junior co-listing agent by Mary or due to what we expected as sellers. She was always responsive to our questions, but we thought she would be more proactive as the point person between all parties of the sale (i.e. providing and sticking to a clear marketing plan, providing a timeline for the close process (this was discussed during our initial meeting but never provided), ensuring the P&S was on track to be signed, confirming that we had closed as we weren’t present). At our first meeting the marketing plan discussed was to do a broker open house followed by open houses on Sat. and Sun the first weekend. This did not happen, which is fine but we didn’t find out the new plan (open houses on Sundays for 3 weeks) until 2 weeks into that plan. The second week we only found out that we were having an open house on Sunday when the junior agent called to cancel a showing the day before indicating the potential buyers would attend the open house. When it came to negotiating inspection concessions, I felt that I had to advocate for ourselves with Mary to not give up too much. Our overall impression is she really knows real estate and the MA market, but that our property was below her usual price point and perhaps less of a priority than we expected. We had an outstanding experience with Mary. Mary is a consumate professional.She is the prototype for what a great agent should be.She took care of us from beginning to end.We were very impressed with her and Bowes Realty is very fortunate to have her on the staff. She made the entire process very easy for us.She was just great! Am very pleased with Mary’s performance. Have no regrets! Mary and Lynn are a great team. They were both highly knowledgeable, easily contacted, very flexible and understanding. I chose them over an agent who had provided me with excellent service in the past and I have already recommended them to several acquaintances. Would recommend both Mary Murray and Lynne Thompson to anyone buying or selling a home. They both were GREAT!!!! Mary Murray, is a true professional and a pleasure to work with. she far exceeded our expectations and we are thankful we met her. Mary, went above and beyond what we would expect from a realtor. it was a pleasure to work with her and i would reccomend her without hesitation. rarely do you find people as dedicated to their job and as knowledgeable about realestate. I felt Mary Murray had my best interest in mind throughout the entire process. Mary did an outstanding job helping me sell my house. She is extremely knowledgeable concerning the Arlington market! Overall had a great experience! Mary was extremely helpful, thorough, and responsive. She was able to take our list of house requirements and find us the perfect house in just a few days. Mary Murray did an excellent job in preparing me for purchasing my home as a first time home buyer. Mary was fabulous. (she may have offered the guarantee, I don’t remember). I was looking in a very specific niche (nice neighborhood, diamond in the rough, specific price range). Mary not only enjoyed trapsing thru many ugly properties, but ultimately helped formulate a strategy to ultimately win the house I fell in love with (even though I wasn’t the highest bidder). I plan to recommend Mary to anyone looking in Arlington & Lexington, without hestitation. Mary is very good at what she does and she made the complete selling process easy and pleasurable. I have sold property before and that experience wasn’t nearly as smooth and problem free as this was. I shold also add that I am very particular about the way things should be done, but Mary was right on the mark throughout the whole process. Mary Murray is just fantastic! Thank you, Mary. As always, a job well done. I look forward to working with you again soon. Very, very satisfied with Mary Murray! Mary was wonderful to deal with. If I had to do it all over again, I wouldn’t change a thing. Mary is GREAT!!! Mary was amazing, marketing and selling my condo at a great price, and quickly, in a slowing market. She took care of everything, handling offers and difficult potential buyers with great skill, and managing all the many tasks associated with selling a condo so I had to do very little other than pack up and cash my check from the sale. It was a total pleasure and priviledge to have Mary as my agent, and I consider myself very fortunate. She’s just great at every aspect of her job! I can’t say enough about how great Mary is to work with. She took the very challenging task of finding a house in my price range, under changing circumstances in my life, and gave me a low-stress, positive experience with a very happy outcome. She is the best, and I’d recommend her highly to anyone!